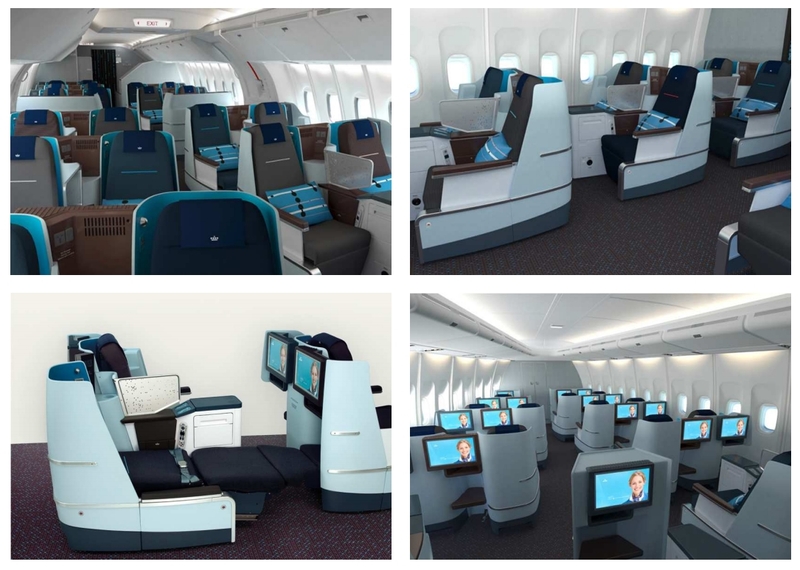 Some of the best images of the new KLM business class seats! Back in August I blogged about Dutch designer, Hella Jongerius’ plans for the new KLM seats. Now the word is out and if you look HERE and HERE you will see some nice and high resolution photos of what is soon to be installed on KLM’s birds. Also, you can peak HERE about the design process and choice of colors and fabrics (I would have loved to have seen them go with leather like Delta does). They will be “Full Flat” seats which is very good, but they will NOT have individual aisle access as Delta has chosen for all of it’s seat upgrades. It is unfortunate that KLM did not follow Delta’s lead in this area, but much of Skyteam is going their own way as of late. Definitely a bit disappointing that they opted not to go with direct aisle access, but nevertheless, this is a HUGE upgrade for KLM. I still think Alitalia offers the best long-haul business class with their Magnifica class across all of Skyteam though. wowzers!…that looks awesome…cant wait to try that out someday. Personally, my experience is that while leather may be nice for seating, it’s not the best choice for sleeping.